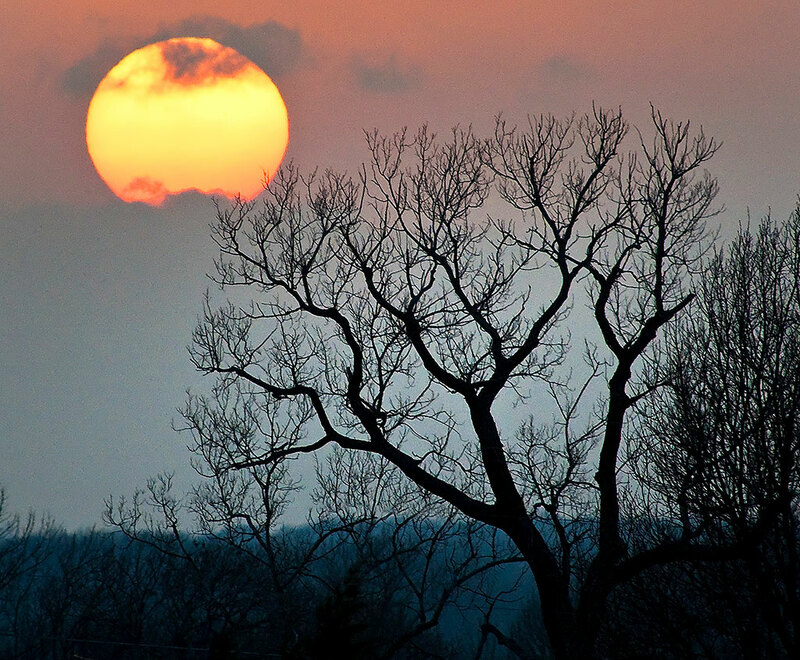 I made this super-telephoto sunset image a couple of years ago on the north side of Ada, Oklahoma. One reason it works so well is that I hurriedly (because the sun sets faster than you think) found a compositional element – the tree – to anchor the image. Without it, it’s just a mug shot of the sun. In my corner of the world, southeast Oklahoma, the sky can do magic, like this after-sunset image that resembles musical notes. Those who follow me on social media might recall that my current batch of students were disappointed that it rained during last week’s class, forcing us inside. Tonight’s forecast is more likely to produce a sunset opportunity. 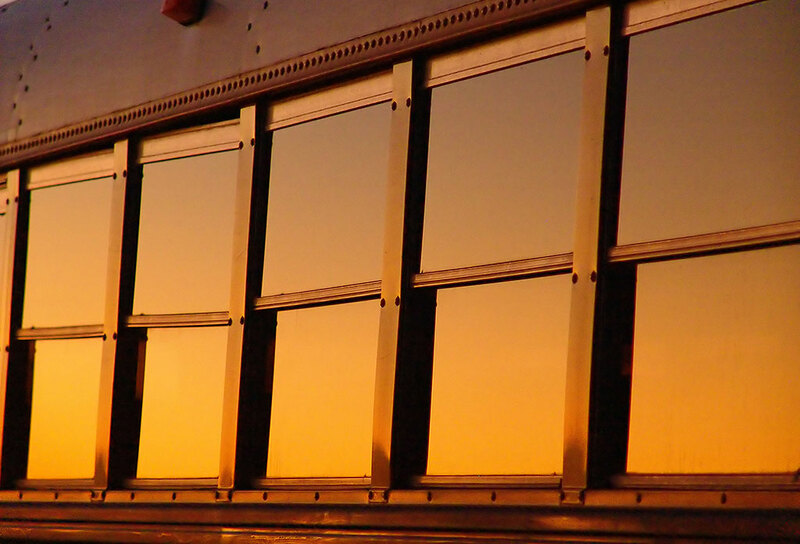 In addition to the sun and sky, objects around us take on very different, and often beautiful, appearances at sunset, like the windows of this bus in Latta, Oklahoma. Sunset is lovely time to photograph people too. In addition to highlighting their hair and creating depth around the shoulders and head, “edge light” as it is sometimes called also means the face is illuminated by the open sky, and is softer. 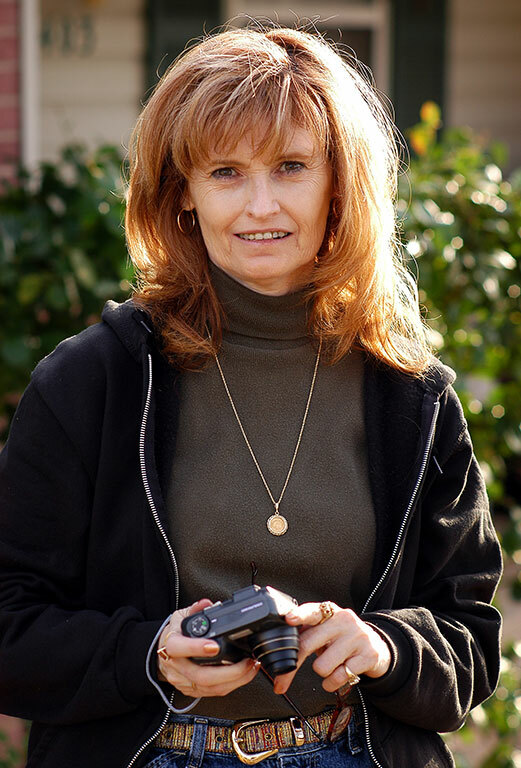 Also, the subject, in this case my wife Abby, doesn’t have to squint into bright daylight. All photographers with any experience know that a good sunset can be difficult to pin down, and it’s always a smarter move to be ready to shoot sunrises and sunsets when they come to you, not when you come to them. Readers also know that I like to use the sun itself as a compositional element, often trying to emphasize its brightness by choosing a lens that makes good “sunstars” at small apertures. There is a lot to be said for sticking around after the sun dips below the horizon as well. 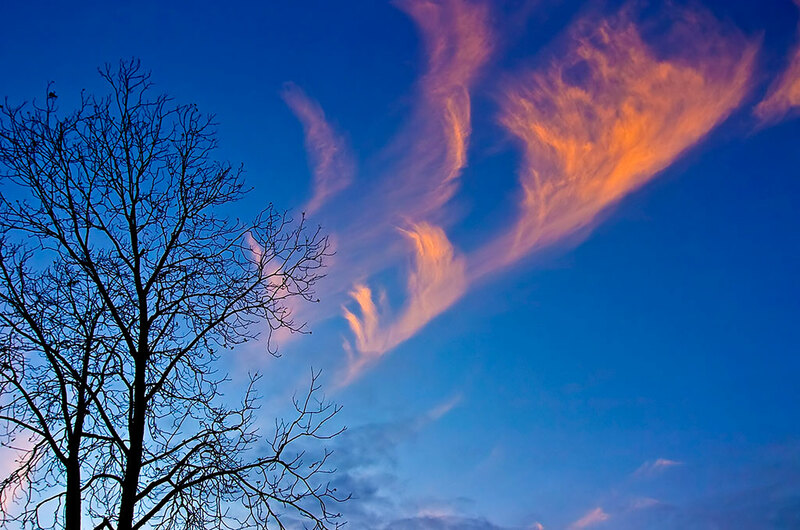 The so-called “blue hour” can sometimes offer amazing color values as the sun’s light strikes clouds high in the atmosphere. Sunsets aren’t always about color. 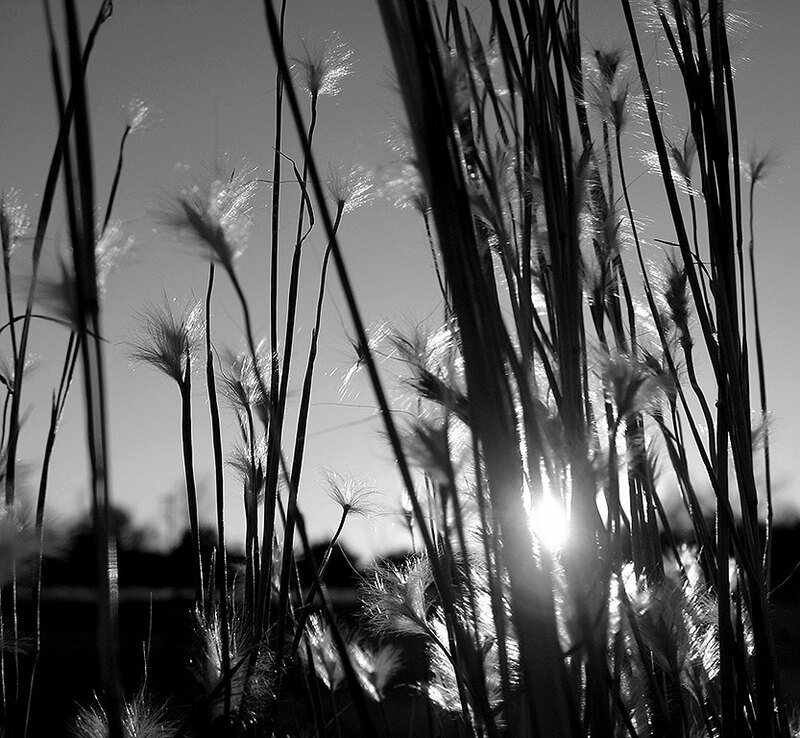 The light as dusk approaches can take many forms, as in this low-angle shot of wheat grass in our pasture. This scene looked nothing like this just an hour earlier. 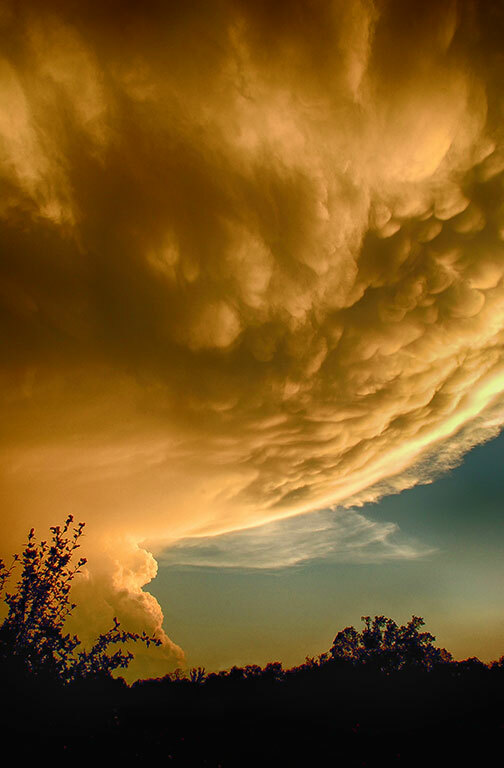 Springtime in America’s midsection can produce some absolutely amazing visuals, like this developing thunderstorm near our home in Byng, Oklahoma. 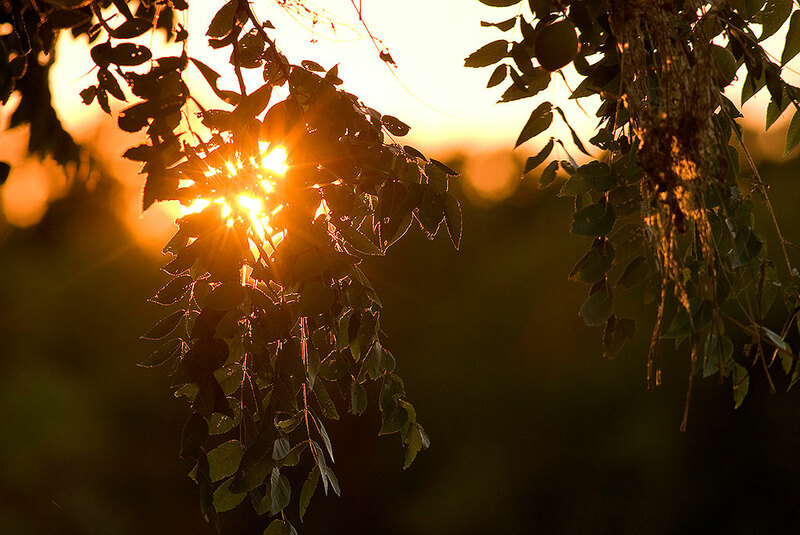 Although temping to shoot sunsets with a wide angle lens to see a sunset from one edge of the horizon to the other, sometimes sunsets can be about subtle, fleeting moments of light, like the last rays of the sun glimmering through our walnut tree. My photography students and I made this image a few years ago. Using an element as a shape for silhouette can completely change the look of an image. 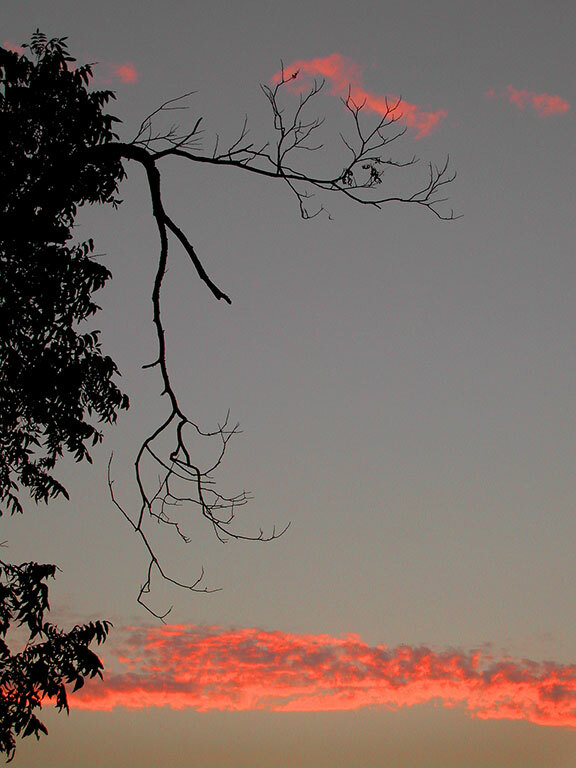 A branch of a tree combines with subtle after-dusk clouds to make an elegant, evocative image. The light changes quickly at sunrise and sunset, so we need to be ready to change quickly as well. As with any photograph endeavor, the best results are achieved through a willingness to explore and experiment, and the realization that not every evening will deliver magic, but with persistence, we can eventually capture magic and share it with our audience. If you can be near a body of water or other reflective surface at sunset, you can throw that into the mix. 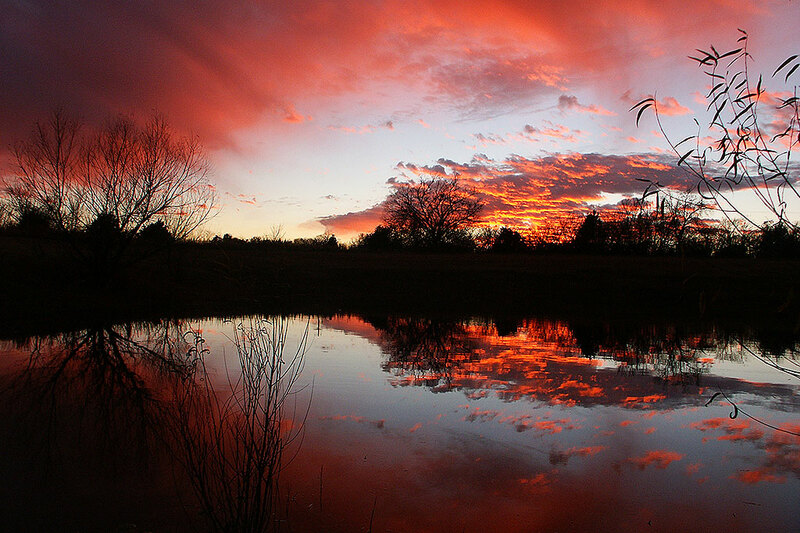 This image, made at our home in Byng, Oklahoma, was made about 20 minutes after sunset. My favorite points here include exposure compensation and the need for inclusion of compositional elements. Lots of good points here and the technical descriptions are great but again I’m blown away by the quality of the light you capture in your images. Everything is a burnished gold, and has a translucency that I can only describe as “liquid.” I’ve tried to capture it but maybe I’m never in the right place at the right time. 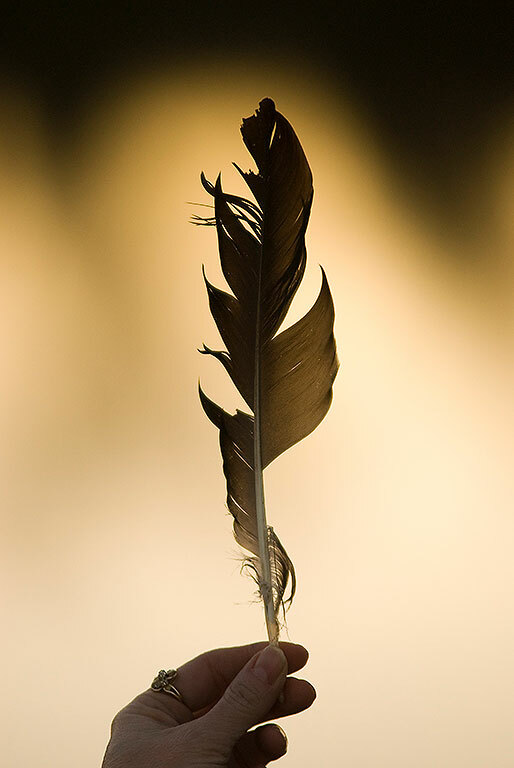 Two new favorite shots of mine: the feather, and the last, of water reflections at sunset.